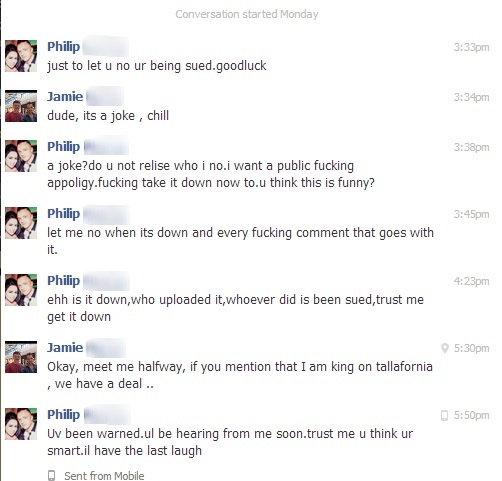 Phil Penny, one of the stars of Irish reality program ‘Tallafornia,’ is threatening to sue after becoming victim of a harmless albeit embarrassing photobomb that made its way to Facebook. Penny, who is the Irish equivalent of The Situation from 'Jersey Shore,’ was at an airport recently when he obliged to taking a photo with a fan. 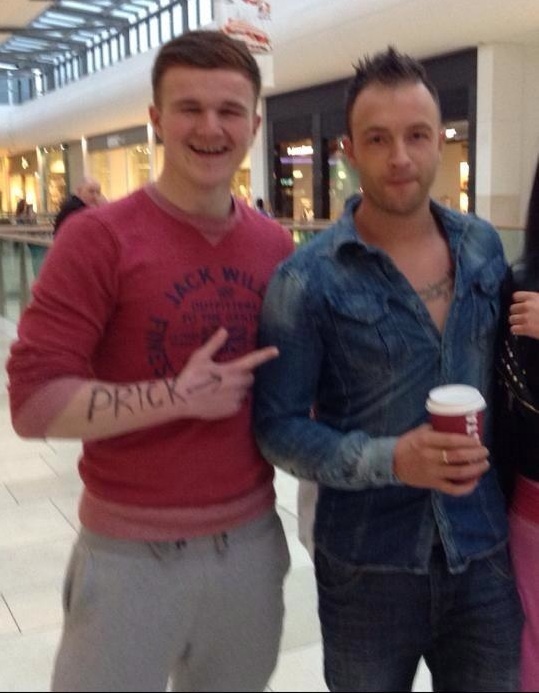 However, as a prank, the fan had scrawled the word ‘prick’ with an arrow on his arm pointing to Penny. The photo, of course, wound up on the fan’s Facebook page and quickly began racking up likes and comments. The comments soon included Penny himself sounding off - clearly displaying his ineptitude in grammar and spelling - that he was ready to sue over the unflattering photo. Though the fan soon took down the photo from Facebook, it wasn’t before screengrabs of the comments section were saved and the photo began to spread to other websites, including Reddit, most likely to Penny’s dismay. Only time will tell if Ireland's 'The Situation' will actually sue!